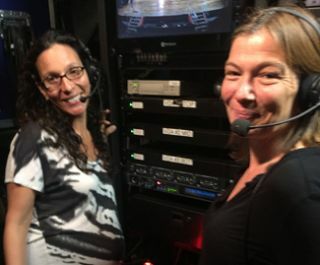 Clear-Com has helped the Broadway production of "The Lion King" improve its wireless intercom communications through the installation of the DECT-based, FreeSpeak II wireless intercom solution. The installation and configuration was performed by Sound Associates, Inc. of New York City, "The Lion King" sound department, and an authorized Clear-Com dealer, with the assistance of the Clear-Com team. Now in its 18th year, the Tony Award-winning Best Musical opened at Broadway’s New Amsterdam Theatre in 1997 and has been playing at The Minskoff Theatre since 2006. The production originally launched using a Clear-Com SB-440 four-channel wired intercom interfaced to a third-party UHF wireless intercom, which has now been replaced with the Clear-Com FreeSpeak II. "The Lion King" is currently using 16 FreeSpeak II wireless beltpacks. It has been able to add additional beltpacks for its backstage staff due to the system’s exceptional capacity and scalability. Previous to this upgrade, the production used 85-90 channels of UHF-based radios for wireless intercom backstage coordination and performers’ wireless microphones. Due to the number of RF channels and the theatre’s location in Times Square, where there is a tremendous amount of wireless traffic congestion, the stage managers and crew frequently experienced signal drop-outs, interference, and intermodulation noise during the run of the show. This was particularly challenging for the production team, given the need for many of the performers to enter on cue from the rear of the theatre. “Our previous UHF wireless intercom didn’t provide enough coverage in passageways to the lobby and the lobby area,” said Alain Van Achte, head of 'The Lion King' sound department. “After distributing antennas throughout the theatre and placing one in the lobby, our stage managers can wander about, confident that they will always stay connected. Deploying FreeSpeak II has also freed up frequency space within the UHF band, allowing the signals between remaining UHF devices to operate flawlessly. “Because it operates in the 1.921-1.928GHz bands in the U.S., FreeSpeak II doesn’t compete for UHF space,” said James Schaller, regional sales manager at Clear-Com. As a result, productions that use FreeSpeak II in conjunction with UHF wireless systems enjoy better performance from their UHF systems.